If you are a lover of shooting and hunting, then you will not like to be saddled with a low-quality riflescope that does not do the job flawlessly.! A good riflescope will guarantee you the right target with increasing the chances to hit it perfectly. Riflescope with better lens will improve your shooting skill by providing proper angle and clear vision of the target. Looking for shockproof, waterproof and durable riflescope for long-range hunting, then the BSA 8-32X44 Platinum Series Rifle scope is the right choice for you. Let us discuss about the features of this excellent riflescope. This BSA 8-32X44 is a wonderful feature for a limited budget scope. The multicoated optics will give you clear and sharp vision of the objects through the scope. The multicoated optical system comes with improved light transition to ensure perfect brightness. The high-definition vision will give you sharp shooting ability. You will not lose focus while firing the target. 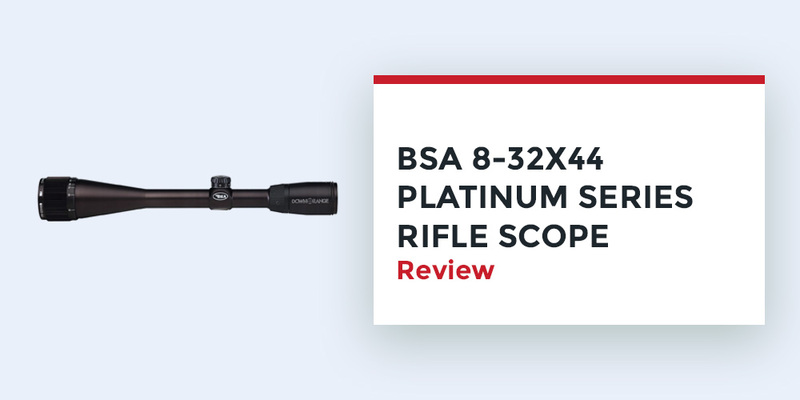 The BSA 8-32X44 Platinum Series Rifle Scope comes with an adjustable turret system. Target turret helps the shooter to lock the accurately. You can adjust it freely shooting from different ranges. You can move the adjustable turret vertically and horizontally to shoot the target. You can reset the turret to zero for maximizing your vision accuracy. According to HomeVerge, This BSA scope will give you perfect vision and eye relief for looking at the target for a long time. The magnification is 8.0-32.0x is pretty decent for long-range shooting. The lens and the scope are made in a way that will give you proper eye relief. Multicoated lens in day to night for perfect vision. If you are looking forward to zooming a long-range target, the Mil Dot reticle will help you maximize your vision to lock the target. 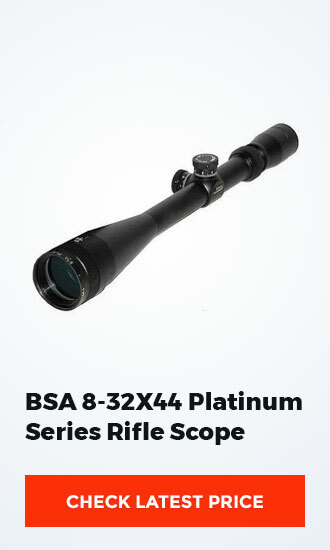 The BSA 8-32X44 Platinum Series Rifle Scope comes with parallax tuning system. The 1/8 MOA elevation clicks along with the adjustment give you the ability to maximize the accuracy to hit the target perfectly. The fluent zero to zooming facility provides consistent vision for one target to the next. The cross hair 1/8 MOA dot reticle helps you to shoot a long-range target by locking the exact point by the dot. BSA comes with some wonderful riflescopes, which are built perfectly to last longer. 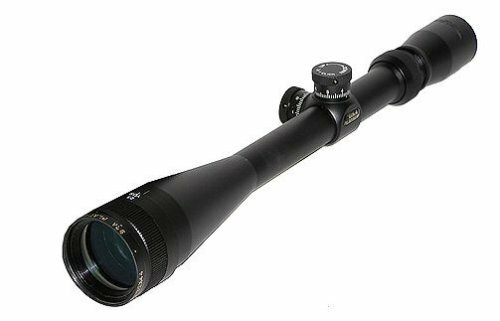 TheBSA 8-32X44 Platinum Series Rifle Scope is a top-class product made with special mechanic and resistance quality. This sturdy scope will provide quality service in rough and rainy environment as the product is made waterproof, fog proof and shockproof. The product has a weight of 1.5 pounds. The dimensions are 18.5 x 7 x 3 inches, including 3” and 5” sunshades. Q: Does the Produce Include Mounts? A: It comes with no mounts, but the makers do provide dust covers with it. Q: I Want to Use Mount with it? What is the Tube Size? A: It comes with 1” Tube. Q: Can anyone use it with Win 300 Mag? A: The Riflescope is Shock-proof. It can be a great fit to that type of guns. You will be pleased with this wonderful riflescope considering the features and quality it provides. You will have a sharp and clear vision of the object with fine crosshair to lock it. The multicoated lens and adjustable turret will help you to shoot the target accurately.